Today is St Andrews day. For those of you not in Scotland, it is the day set aside each year to celebrate our patron saint, Andrew, and more generally, a day to celebrate the great place that Scotland is. There are many negatives to this country, but despite the many people (and weather) that occasionally give the place a bad name, there's no other place that I'd rather call home. I thought I would put up a few of my favourite Scottish things. At the top of the post is a photograph taken on the Isle of Skye earlier this year. It's one of my favourite places, not just in Scotland, but of all the places I've visited and is somewhere I know I will continue to go back to and continue to see new levels of beauty every time. Below are a few videos from some of my favourite Scottish bands, no big surprises at the choices if you know me, some of my most played music (sorry, no bagpipes for now). This is not my photograph below, I've pinched it from my cousin's Flickr account, which I'd strongly advise having a look at here. When I decided to put this post up, this photograph immediately jumped into my head and I went trawling his photostream to find it. I've not actually asked his permission yet, but I'm sure he won't mind. Sorry Iain! 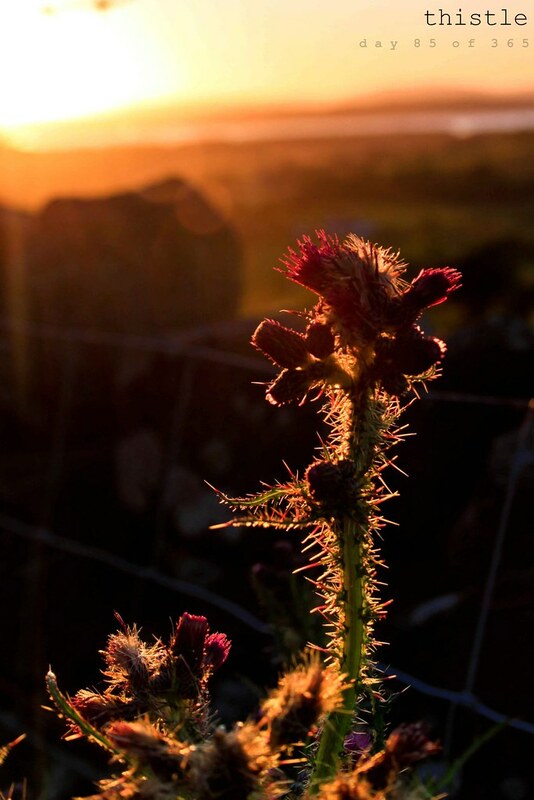 The thistle might be a bit of a cliche to include in a post like this, but the photograph defines what I love about this place, there's a sharp edge to it, but dig a little deeper and you'll find all the beauty you need. If you haven't been to Scotland before, please visit soon!